Thank you Judith K for sharing your story with us. Princess has been a long term customer...she is now using STONEZYME for maintenance to prevent those nasty bladder stones. 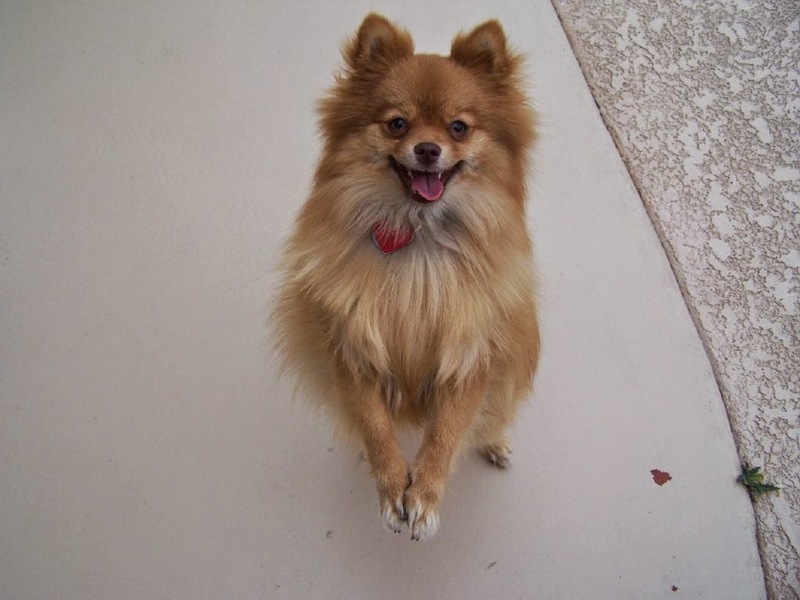 In 2012 my four year old Pomeranian, Princess, was having a lot of trouble. She would go outside about 10 to 20 times a day trying to relieve herself and try for minutes at a time. This went on for quite some time, and then she started to bleed when she would try to go. I took her to the vet and she was diagnosed with bladder stones and the operations to remove them was $1,200.00 (plus more if extra work was needed). I left the doctor's office in tears as this was a difficult time for us financially, so it made it all that much more difficult. We would have tried to come up with the money somehow, but I came home and did a search and found Paw Healers and starting reading the testimonies. I found a few that matched Princess' symptoms. I called and spoke to Brad and he advised me what to order. I received the Urinary Free Flow and within three weeks her symptoms started to diminish and over the next couple of months all the symptoms were gone. I kept her on this regiment and called Brad again and he switched her over to StoneZyme. She will be on these herbs for the rest of her life. Anytime I have questions, they are always there to help. I have one happy, healthy Princess and I am one happy mama! Stitch..Bladder Stone Prevention...Working! Happy Mom and Dog..
Works great. Stich had to have the stones removed and has been on Stonezyme Bladder Stone Prevention ever since to prevent a recurrence. So far so good she has been stone free for years. Thank you so much for a good product. 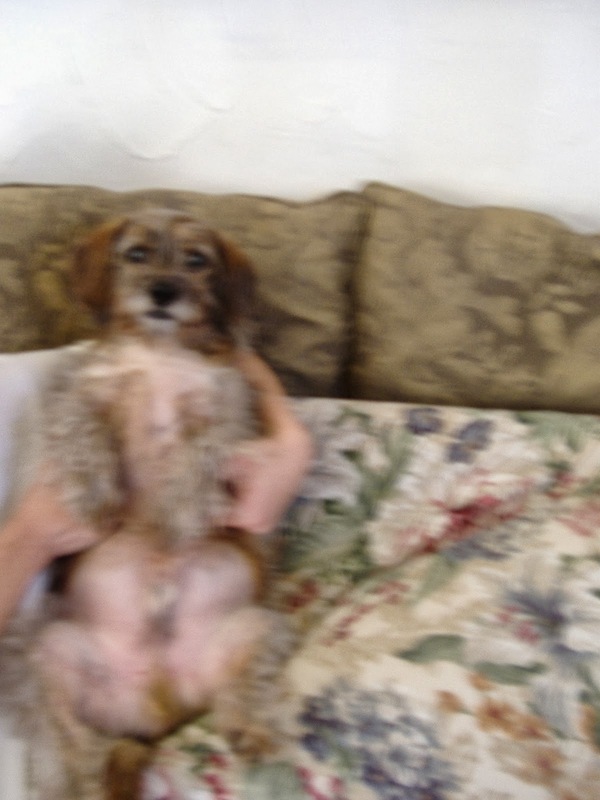 Thanks to Cynthia C. from Texas for sharing Stitches Bladder Stone prevention experience. It works...it really does. 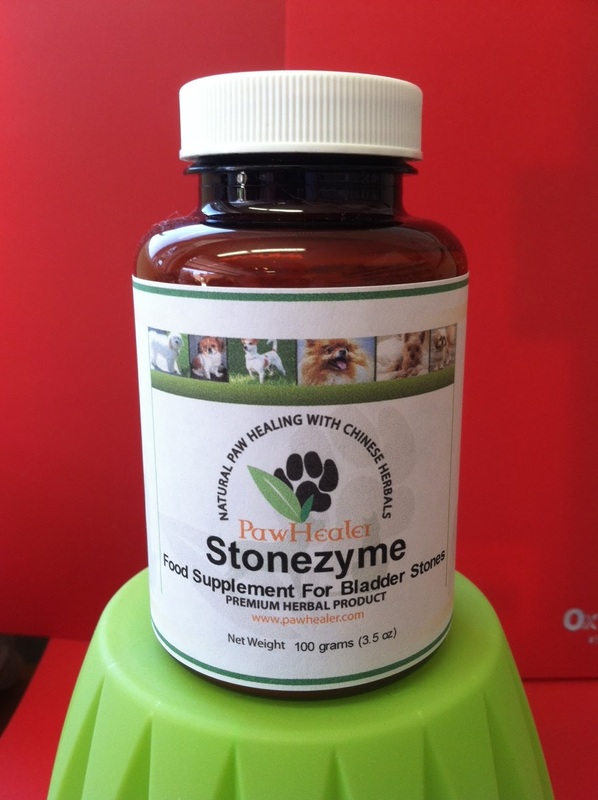 Stonezyme is the name of our product that we recommend to our customers to prevent bladder stones in dogs, cats and yes... humans! Stonezyme is a combination of two Chinese herbs that supports good bladder health, it does this by promoting the free flow of urine. This is a combination of herbs that are used worldwide, and we have been providing them to customers whom have sought out a natural approach so as to maintain their canine's bladder health by preventing obstructions within the bladder. It is important for dog owners to understand that the mechanism of action, which is how these herbs actually work, is quite different than the terms used to prevent stones that are used by modern veterinary medicine. It's been through the accumulation of documentation over thousands of years, as well as the herbal clinician's experiences, passing through generation after generation, that these herbals are known to inhibit the formation of bladder stones, which TCM also refers to as obstructions. Traditional Chinese medicine works in an entirely different construct then that of modern medicine, the two modalities are simply different and they do not cross reference, although it is tempting to try to force the square pegs of Traditional Chinese Medicine into the round holes of modern veterinary medicine. Thus, many people miss the herbal experience because western veterinary medicine does not acknowledge the efficacy of alternative medicines.